We’ve been posting quite a few modern Speedmasters in the last few days, so we thought it was about time for a proper vintage Speedmaster post. We have made a selection of Speedmasters available at a few of our favourite vintage watch dealers. Enjoy the show but remember – the final judgement is up to you! Caveat emptor. Our first stop is Germany – the wonderful city of Düsseldorf, where Brevet Watches has on offer this straight-lug 105.003-65 with so-called tropical dial. Of course powered by caliber 321. Our next stop is at Cars&Watches right here in The Netherlands. 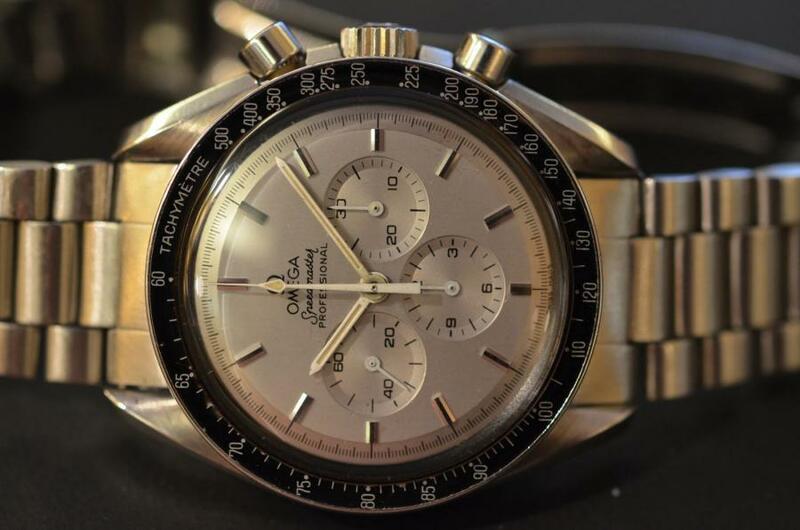 For sale is the Omega Speedmaster 125, the model made to commemorate the 125th anniversary of the Omega brand in 1974 as a limited edition run of 2000 pieces. It is supposed to be the first automatic chronograph with COSC-certification, as indicated by the Chronometer on the dial. Omega’s recent attempt at the Speedmaster Mark II is sans doubt impressive. They managed to create a thoroughly modern watch that harks back to days gone by, without it appearing overly sentimental. 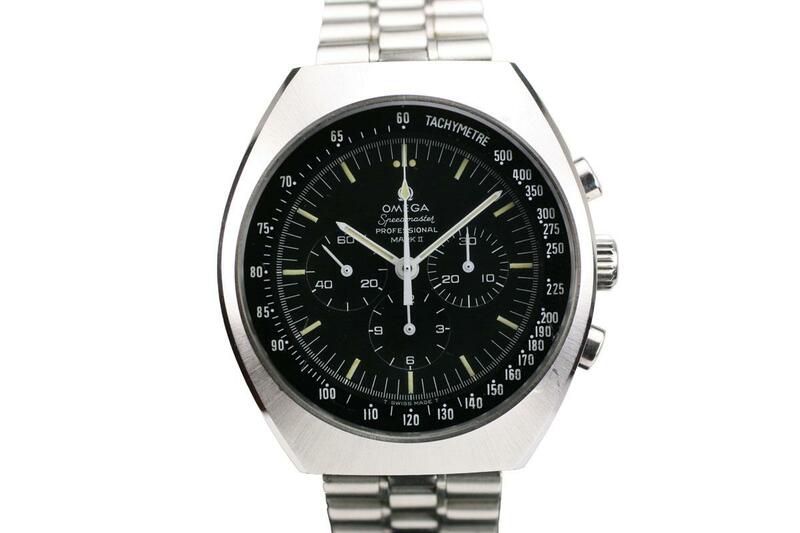 But on our next stop, Matthew Bain in Miami offers the watch that inspired Omega’s BaselWorld 2014 release – the Omega Speedmaster Professional Mark II 145.014. Next stop Italy: Tempus Orologi. For sale is this Omega Speedmaster Professional 145.022 with an unusual silver dial. While most likely retro-fitted, it is quite the looker. I’ve already seen an identical one that sold for a fortune several years ago, and this one is in a condition that’s a bit more accessible in price. Here’s the proof, but there if very little information on this extraterrestrial dial that makes this one of the rarest and most beautiful ancient in the world. This is it for now ladies and gentlemen! Wondering about the so-called radial in the opening pic? Read our report right here. Do you want to create your own bit of history? 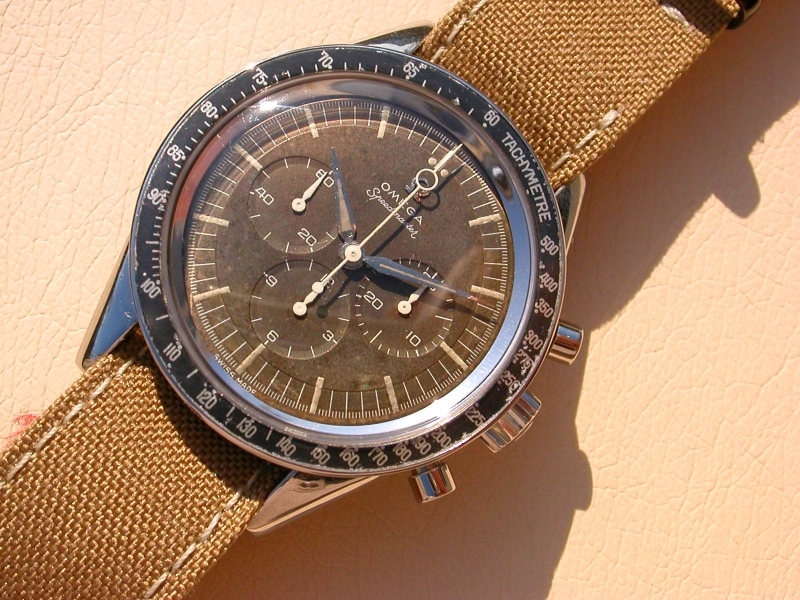 Our friends over at Ace Jewelers are passionate about watches and Speedmasters in particular.. Contact them! This entry was posted in Editorial, Speedmaster Professional and tagged Mark 2, Speedmaster 125, ST 105.003, ST 145.014, Tropical on June 5, 2014 by Dale Vito. Ever since we lauched SpeedyWatches.com, we’ve been thinking about ways to keep the blog alive and interesting for Speedmaster-aficionado’s, collectors, cognoscenti and whatever-label-applies-to-you-visitors. Posting multiple items on a blog that is dedicated to a single model (-line), how rich the history might be, can be quite a challenge at times. 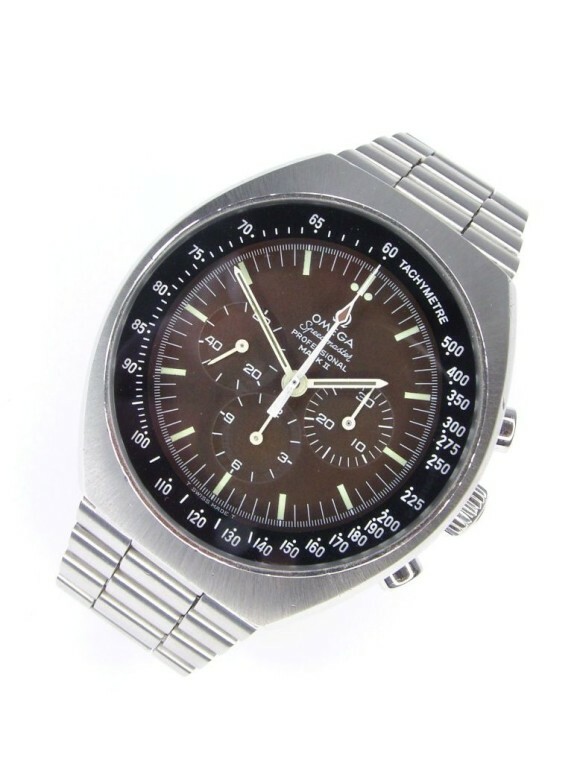 The Globetrotter, our international man of mystery, our very own Stig, bought his first vintage watch some 17 years ago. That very first watch ignited a spark and ever since he has been travelling around the globe, sourcing the best vintage watches , meeting friends and having a blast – of course, when his other obligations permitted the time off. The Globetrotter will mainly be writing about interesting and remarkable Speedmasters available on the global market. Alright. Where to start? As SpeedyWatches is based in Amsterdam, it seems fitting to start my first post with a watch that’s on offer in the very same city..
Amsterdam Watch Company, located in the Nine Streets area, has a very nice Mark II Speedy for sale. While a Mark II is a nice watch in any disguise, the present example has so-called ‘Tropical’ dial – no longer black, but instead turned into brown. Find out more details at the click of a button..
From Amsterdam to Cologne, but still in the tropics: BrevetWatches.de has this great CK2998-2 on offer. The early handset adds a lot of vintage charm – and that’s not even mentioning the great tropical dial. Touch down in Milano. For sale over at NewOldTime is this great Apollo XI 20th Anniversary. A very subtle commemorative watch – but a great one nonetheless. From Milano to Miami Beach – how’s that for jet-setting? Our next stop is Matthew Bain. 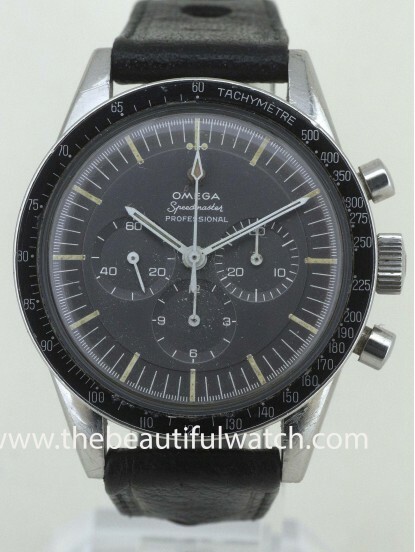 My pick from his great collection, to round up today’s post, is the Speedmaster 125. 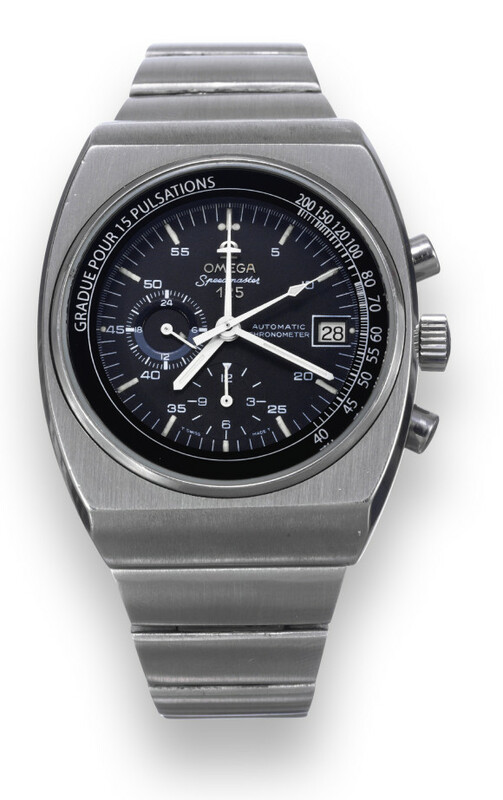 A fascinating and important Speedmaster with generous dimensions, ever more relevant in our modern times – still craving for oversized timepieces. This entry was posted in Editorial, Speedmaster Professional and tagged CK2298, Mark 2, Speedmaster 125 on October 31, 2013 by The Globetrotter. YES! 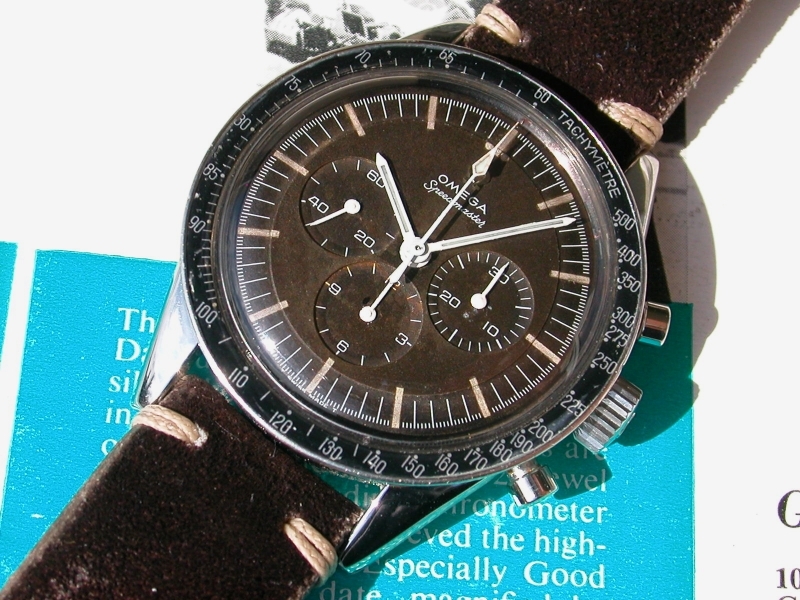 It’s that time of the week again: Speedmaster of the Week! Well, to be frank, it was due yesterday but we were to busy partying with our friends of AceJewelers and SevenFriday.. But worry, we’re here now! This weeks Speedmaster of the Week is the Speedmaster 125. And we would not be SpeedyWatches.com if we didn’t choose a somewhat unusual version: the Pulsometer. The Speedmaster 125 is something special. 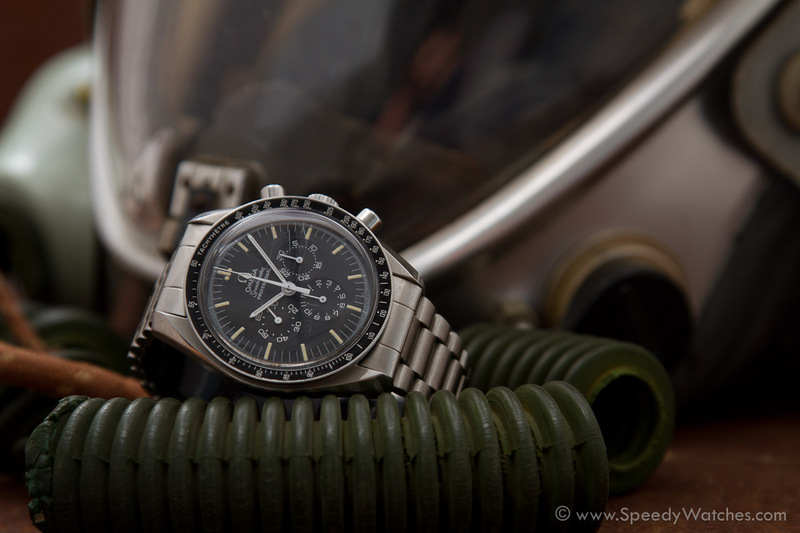 Is is big and heavy like no other Speedmaster – build like a brick. It was introduced to commemorate Omega’s 125th anniversary in watchmaking in 1973. For that time -quartz crisis soon to be released- it was a very high-tech timepiece. The Speedmaster 125 has a few distinct features. First of all, the case and bracelet are near indestructible. It was Omega’s first chronograph with chronometer-rating. But perhaps its most important feat: it was the very first automatic chronograph with chronometer-rating (COSC certificate) EVER! 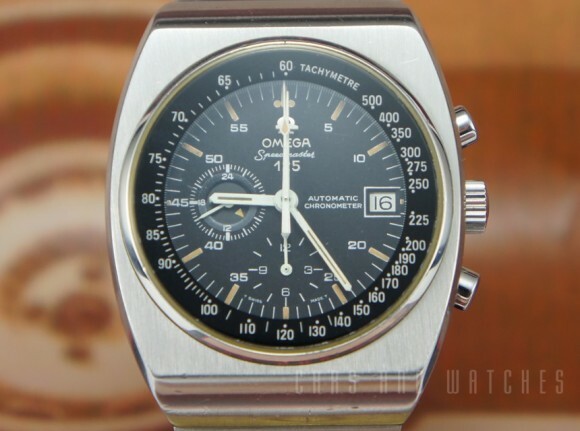 While nowadays this is very common, in 1973 -only 4 years after the introduction of the first automatic chronograph- this was a huge novelty. The watch posted above has the somewhat unusual Pulsometer scale, while the Tachymeter is the version most often encountered. A Telemeter version was also available. 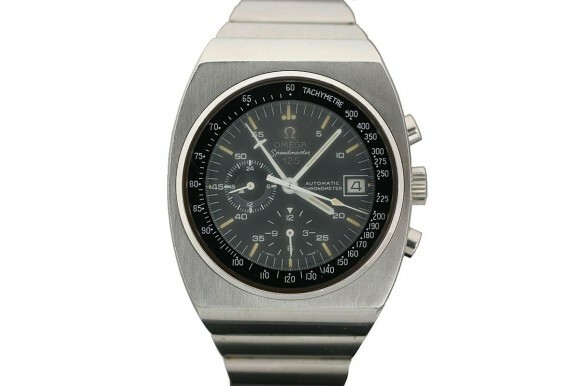 The Speedmaster 125 is said to have been made in no more than 2000 examples. 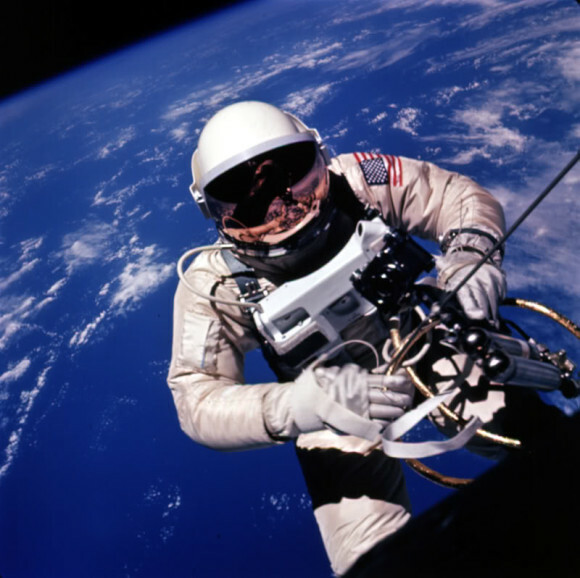 It was powered by caliber 1041, the chronometer-rated version of caliber 1040. Picture by Antiquorum – click to see the final results. This entry was posted in Speedmaster Professional and tagged Speedmaster 125, ST 378.0801 on September 17, 2013 by Dale Vito.